Located in the heart of the Chateaux of the Loire and 200 meters of the course of the Loire by bike. Less than 50 meters from our cellar, you can come and taste the wines of our property. Our accommodation includes several very spacious rooms with stone walls (kitchen open to living room), 3 bedrooms including a master suite with private bathroom, another room with garden access. Great value. Lovely peaceful location whilst being fairly close to centre of Amboise. 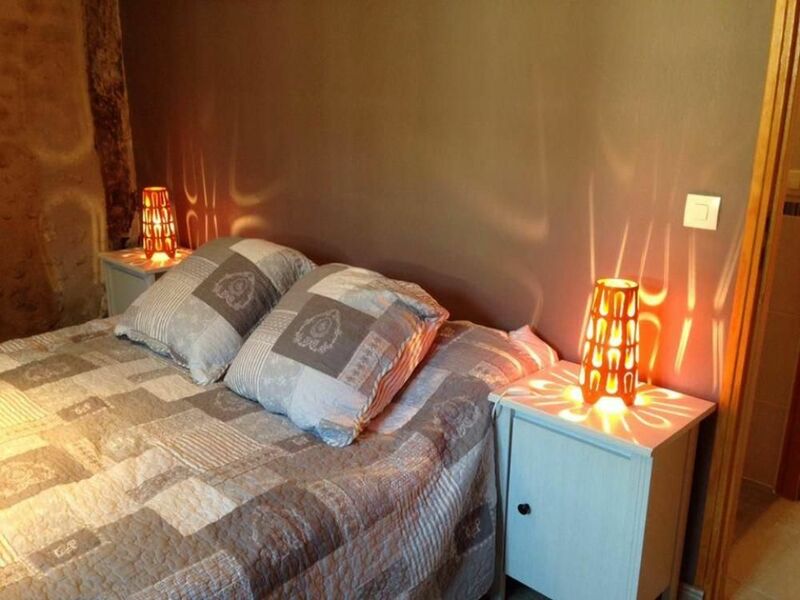 Lovely cottage, everything you need and the perfect base for exploring the stunning Loire valley. We had a wonderful holiday in Gite de la Bergerie. It is a beautiful, spacious cottage with modern features yet maintains the character of the old building. We had slightly misread the advert - this house has one WC, and does not have toilets in the bathrooms (we had no problem - just for information) The garden was lovely - a complete sun trap and spent some beautiful days just lazing with a glass of cold Touraine watching the clouds go by. It does not have wifi but has a mobile signal so we brought a Wifi transmitter which worked perfectly. There is a walk of around 30 minutes to the town of Amboise, which has a steep hill so would be difficult without a car for anyone elderly or with disabilities. We managed perfectly well and enjoyed our walks to and from town. There is a large supermarket in easy driving distance, but you could manage without a car if required as long as you are happy to walk. Amboise is a lovely town and is perfect to explore the delights of the Loire valley and Chateaux, and has a train station for easy access to other places. We took our car and got the ferry to Caen, but you could easily fly into Tours. Willy also produces his own wine and beer and he offers wine tasting - his shop is 2 minutes walk away. We also had a fabulous day harvesting grapes and wine tasting at "Vignoble Alain-Robert" - well worth a visit if you are arriving in September/October. In summary, I would highly recommend this house, Willy and the Loire. Thank you for a wonderful holiday. Gîte spacieux,clair, agréable. Seuls bémols: la vaisselle, couverts dépareillés et pas fonctionnels, et qd pièces rangées sales mais c'est la faute de nos prédécesseurs pas du propriétaire. Le gîte est très propre, fidèle aux commentaires et aux photos. Merci aux propriétaires pour leur accueil et leur disponibilité. Leur gîte est accueillant, très bien équipé et très bien situé pour visiter cette belle région. Nous recommandons cette location. Et nous reviendrons sans hésitation. Maison très bien située! très agréable! idéale pour 8! Vincent nous a très bien reçu! La maison est comme sur les photos (et même mieux!! ), grande et très bien équipée. Elle est aussi très propre et rénovée avec beaucoup de goût. On y dort très bien dans ses murs anciens! Elle est pratique avec ses deux salles d'eau... Nous gardons l'adresse pour y revenir!